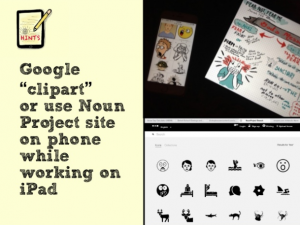 OK, full disclosure: this blog article is hard for me to write, because I am a perfectionist, and sketchnotes are definitely NOT a strength of mine! I was completely out of my comfort zone with this pre-conference workshop. In the interest of modeling a growth mindset, I will say that I am not good at sketch notes YET, and I will share today’s attempts, as well as some resources that I will use to get better with practice. Our presenter, Karen Bosch, is a PreK – 8 Technology Instructor at Southfield Christian School in Southfield, Michigan. 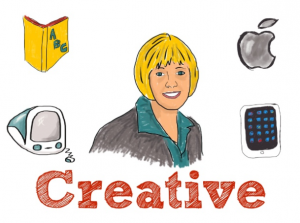 She is an Apple Distinguished Educator and a 2016 Dremel Ideabuilder Ambassador. 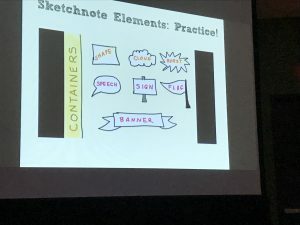 For those of you who aren’t familiar with sketchnotes, they are visual notes that incorporate words, lines, shapes, color, and simple drawings. 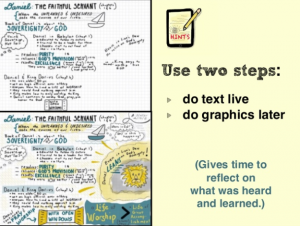 In this hands on workshop we explored what a sketchnote is and why research identifies it as a powerful learning strategy. 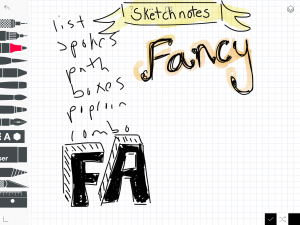 Our first task was to take visual notes while the presenter shared some research about sketchnotes. 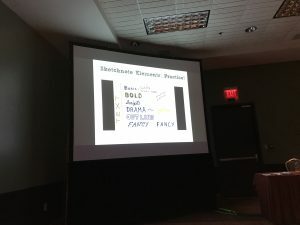 In fact, our presenter’s entire 79-page presentation was created as sketch notes. 1. 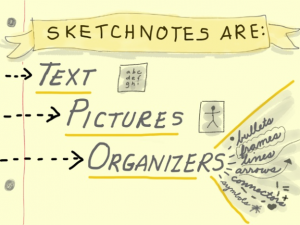 What is a sketchnote? 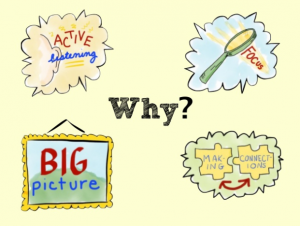 Why use sketchnotes as a part of learning experiences? 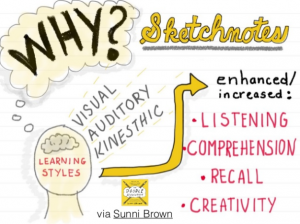 What does research say about the benefits of taking sketchnotes? Paper vrs. 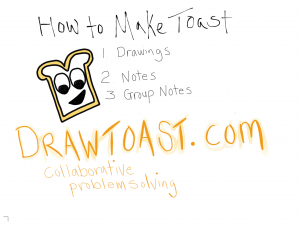 Digital Sketchnotes. 2. 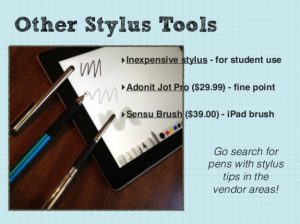 An overview of iPad apps and styluses for sketchnotes. QuickStart tutorials for learning to use apps. Hands on exploration of apps. Demonstration of app techniques and hints. 3. 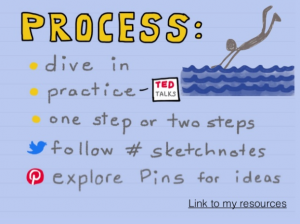 How to get started with taking digital sketchnotes. 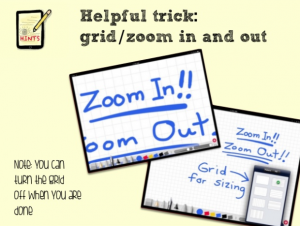 Hands on activities to practice sketchnote elements. Sharing with small groups. 4. Sketchnotes in Learning. 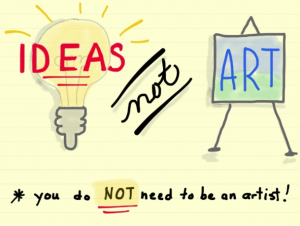 Examples and ideas of sketchnote lessons from the presenter’s classroom. Hands on activity creating sketchnote based on participant’s curriculum. Sharing via Padlet. 5. 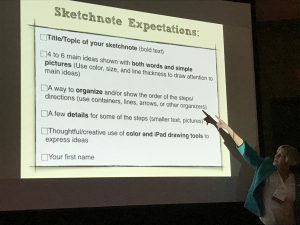 Resources to help those wishing to further explore sketchnoting, including a free iTunesU course. Dive right in and just TRY IT! 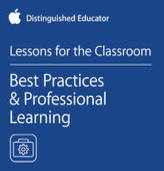 Explore what other educators are doing to get ideas. Prepare ahead of time when possible. 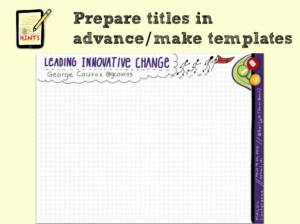 Create a template before you go to a conference and prepare one slide for each presenter. Be aware of over/under tools and features. You can often choose whether a line or paint can go behind a pre-existing line or in front of it. 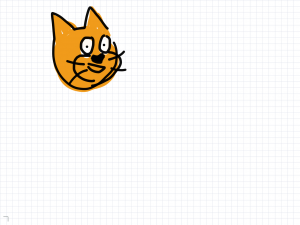 You can use layers to write and color. You can merge them after to move objects as a whole. 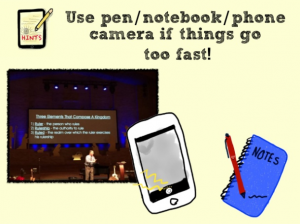 If you’re at a conference and the presenter is going to fast, make sure you have a phone to take photos for later and a pen/notebook to jot anything important down. USE TWO STEPS! 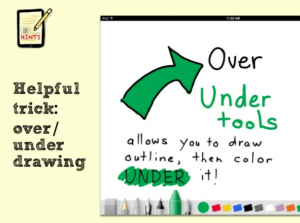 Make notes during the presentation on one layer, and add the drawing and color detail to another layer when you get home. 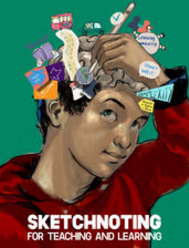 NEXT BEST RESOURCE: FREE “Sketchnoting for Teaching and Learning” eBook. 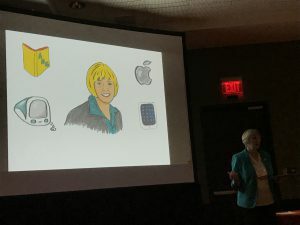 Karen joined with a group of Apple Distinguished Educators at the ADE Institute in Berlin in July 2016 to develop a multitouch book about using sketchnotes in education. The book is available for free download and gives background, examples, and hints from educator sketchnotes. Apple Pencil – a must have for drawing on an iPad Pro! Currently the stylus that I am using! Apple Pencil Cozy – keeps the top of your Apple Pencil attached! Pencil – syncs with Paper53 and Procreate apps, pressure sensitive, works without sync in any app, easy flow! Lynktec Apex Fine Point Stylus – A good fine point stylus for writing. See my review here. Sensu Brush – amazing brush that works on the iPad!